The night’s are never ending. Her stepsister is driving her crazy. The magic talking doll she keeps secret has sticky fingers that are getting her into trouble. So when the idea of taking a midnight stroll to the local convenience store, where shoplifters happen to get beheaded, comes up Vassa actually jumps at the chance. It’s there that things get even weirder. The women in these stories are pirates, bank robbers, business women, radicals and others all of them just trying to survive and find their places in the worlds changing and shifting around them. I don’t think there’s a story that I didn’t enjoy although some of my favorites included; The Red Raven Ball by Caroline Tung Richmond, The Legendary Garrett Girls by Y.S. Lee (both of which could be longer stories or movies!) and El Destinos by Leslye Walton. In fact one of the downsides of a collection like this is I could have read quite a few of these as longer stories or books and been happy with them. Sometimes you want more! The stories are more “based on” certain eras and women. In fact I was surprised by several of the stories having a hefty dose of myth and “magical realism.” That’s an expectations game however. On my part I was expecting something else of the book as a whole. Though it did seem a little odd to have stories about ghosts and the three sisters, who I think were supposed to be the fates, mixed in with super realistic stories like the protests at the 1968 Democratic convention. Still, the writing was mostly excellent in all the stories. The characters were fun and left an impression in more cases than not and even better in many instances it left me wanting to know more about the time period the stories were set in. Recommend: Yes. Just keep in mind this is not going to be a straight historical read and that the two stories in the beginning are kind of downers but otherwise I look at it as a wild adventure through pieces of history with some memorable female characters! 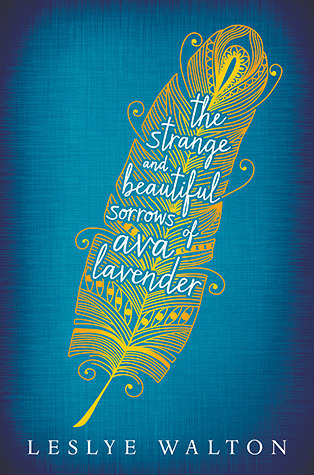 When she is born to a heartbroken mother Ava Lavender has a beautiful and unexplained set of wings. Her twin brother, who no one expected, doesn’t speak until it’s necessary and has a gift for multiple languages. This is a bit of a weird family going all the way back to her grandmother who quite literally has dead family members still in her life. Nothing’s ever been easy for these people. This is a beautifully written book. It’s one of the things that first attracted me to it. Reviewers were talking about how Walton spins the “magic” and makes the “fantastical elements” blend in so seamlessly that you don’t even think they’re out of place. And it’s true. The writing just flies especially when Ava finally takes over the narrative because I found it easier to connect with her than her mother or grandmother. The thing is about halfway through this book you know something bad is coming and considering the character that’s introduced you can pretty much guess what it’s going to be. I found I was reading it partly for the story but mostly because I just wanted to get it over with and see if everyone I cared about survived it. Take away the magic elements and the beautiful language and it’s actually a rather dark and violent book. Now I do think the end really saved it for me. There’s catharsis and, I think, the sense of truly starting over for this poor family. Recommend: Yes. The lovely writing and the story of Ava herself really made this book for me despite some of the darker elements.